The word “heavenly” to describe the food at Jinggay’s Grill is not enough. Not being too overly biased or overreacting, but practically, every food here are done with quality. If it’s a painting, it’s like it was done by Michael Angelo. Although the prices are slightly higher than the usual carenderia, but it’s really a value for your money. Just prepare P100 or even just P80, and you’re good. This liempo tastes so good. Tita Fannies should start shaking in their boots. I’m still a fan of Tita Fannies’ liempo though, still one of the best in the country. 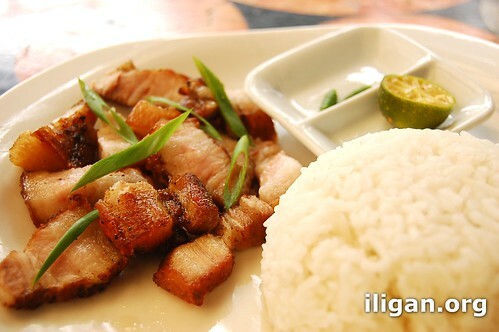 This liempo is part of the value meal and costs P85.00 with iced tea. Grilled Tangigue (P140). This is not my order, but I got the chance to take a photo of it. This iced tea comes along for free in the Value Meals at P65.00. But individually, this one costs P15.00 per glass. The value meal and some of the regular meal also comes with free hot soup. 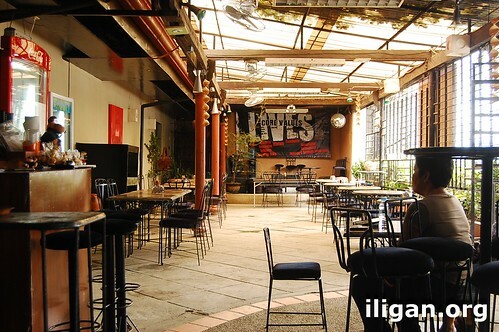 Jinggay’s Grill is annexed to New Life Christian Church which was formerly Darren’s Bar. 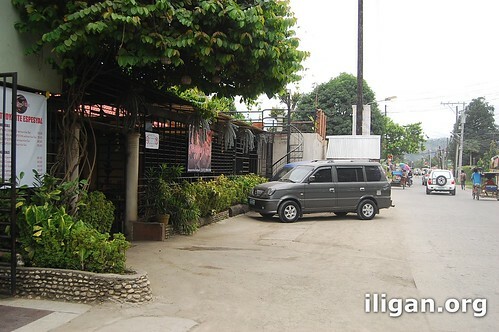 Jinggay’s Grill is located along Redemtorist Road in Barangay San Miguel. This looks like a place I will have to try on my next visit ! If I remember correctly, Barangay San Miguel borders Tibanga going in the direction of CDO from MSU-IIT along the National Highway ? am just trying to get a general location of this in my mind. Using MSU-IIT as a landmark, what is the approximate distance ? 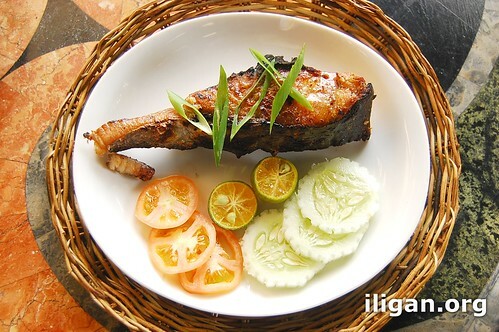 So many great places to eat in Iligan, so little time to spend there on my vacation, LOL Thanks for the great photos ! Bob NewYork, you are correct in your orientation. It’s close to Elena Tower Inn, and even more closer to Jollibee Tibanga. Darn BOB! I felt like a total LANGYAW more so than LUMAD in this case. I take it you’re very familiar with the lovely city. Glad you like it. I was raised there but migrated overseas and haven’t been back for over 20 years. Soon, Iligan, Soon. Thanks for your comment. I have been studying Iligan City for about 6 years via internet and have visited 5 times. As more and more information of Iligan appears on the Internet, for a virtual visit from wherever someone is, Iligan need not be further than your nearest internet connection. I have found so many interesting and fun things to see and do there. I have read so many comments similar to yours indicating how so many Iliganons now in other parts of the world miss their home city. That in itself really says something. Sadly, Jinggay’s Grill had closed shop a month ago. It was not earning that much, probably caused by lack marketing.